The Pound New Zealand Dollar (GBP/NZD) exchange rate is up today, and is currently trading at NZD$1.8534 after the Chinese economy showed signs of slowing down, causing a risk-off situation that hit the ‘Kiwi’. The Pound (GBP) strengthened yesterday after news that British Prime Minister Theresa May had secured her position after winning Wednesday’s confidence vote. GBP, however, found little support from yesterday’s release of the RICS housing price balance for November, which showed a -11% decrease against last month’s -10%. NZD, meanwhile, was weakened by yesterday’s release of the business PMI for November, which showed a decrease against October’s figure. Sterling was strengthened yesterday on the news that Theresa May had successfully secured her position after Wednesday’s no-confidence vote, however as she headed out to Brussels to renegotiate aspects of her Brexit withdrawal agreement, previous concerns crept back in. This has caused GBP traders to remain cautious as May’s Brexit deal comes under increasing fire from a fractious Parliament, decreasing the likelihood that it will succeed in passing through the Commons. Looking ahead to next week, Monday will see the release of the UK’s Rightmove house price index for December, with Sterling investors paying close attention to any signs of a slowdown. The New Zealand Dollar (NZD) meanwhile was strengthened yesterday on the news that China would reduce tariffs on US car imports, increasing appetite for risk-correlated currencies including the ‘Kiwi’. However, following today’s poor Chinese data traders have been pulling out of NZD as the global economy shows signs of slowing. This has weakened the NZD/GBP exchange rate with the risk-averse ‘Kiwi’ being highly sensitive to the health of China’s economy. 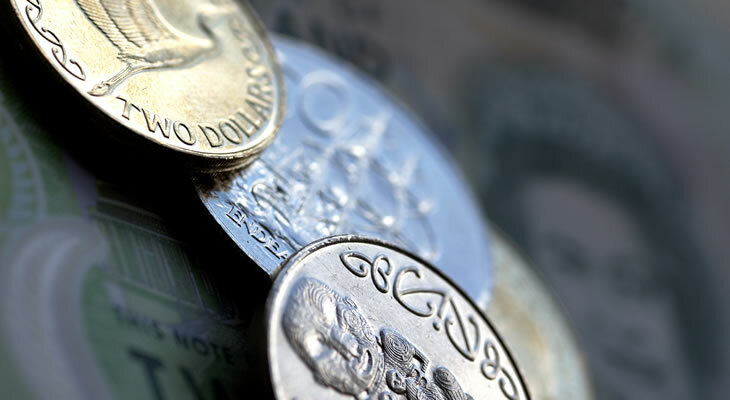 The Pound New Zealand Dollar (GBP/NZD) is likely to be driven by political forces this week, with Brexit concerns increasing in pressure as Theresa May tries to secure backing for her UK-EU withdrawal agreement. NZD investors will be paying close attention to any signs of the US-China trade tensions flaring up again, with the risk-averse ‘Kiwi’ increasingly sensitive to any sudden global economic developments. Looking ahead to next week, Tuesday will see a slew of New Zealand data releases, the most important being the publication of the GDT price index, with ‘Kiwi’ investors hoping for signs of an increase. Following this will be the release of New Zealand’s Westpac Q3 consumer survey, with any signs of a decrease ahead of the festive season raising economic concerns. Wednesday, meanwhile, will see the release of New Zealand’s Q3 GDP figures followed by a slew of UK data releases, with particular attention being on the Retail Price Index for November. However Thursday will be the most important date next week for the GBP/NZD exchange rate, with a raft of important economic events, most notably the Bank of England’s rate decision, with GBP investors scrutinising the accompanying notes for hints of 2019 interest rate clues.